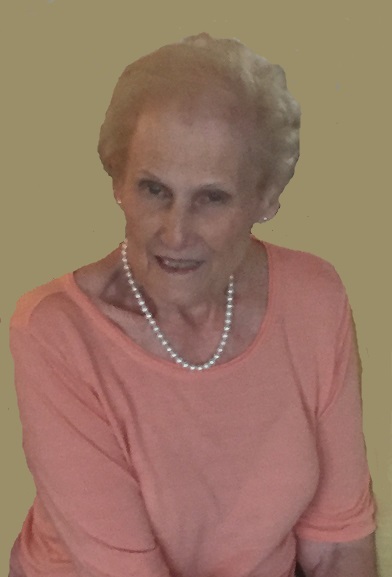 Of New Bremen, died at 11:05 P.M. on Thursday, April 11, 2019 at the Laurels of Shane Hill in Rockford, where she had been a resident for the past few years. She was born on April 4, 1929 in Mt. Pleasant, MI, the daughter of the late Edgar A. & Bertha L. (Wilson) Nolan. On November 8, 1949, she married Paul F. Schott in Barbersville, KY, and he preceded her in death on October 17, 2014. Surviving are her children Jennifer (William) Wheaton of Norton Shores, MI, Peggy (Michael) Hurick of New Bremen, Pamela (Bill) Hartman of Yorktown, VA, and Randy (Cindy) Schott of Long Island, NY. Also surviving are twelve grandchildren, and eleven great-grandchildren. June was the last of her family, being preceded in death by her siblings Armetha (Walter) Hawk, Delbert (Lois) Nolan, Hollies (Willard) Dilbone, and Catherine “Midge” (Orville) Engle. June was a member of the Zion Lutheran Church in St. Marys. She was a graduate of Mendon High School, and she worked in the stockroom for many years at Crown Equipment Corp. in New Bremen. In her spare time, June liked to go swimming at the YMCA, go line dancing, and enjoyed antiquing with her husband. Together they were also avid fishermen; spending many hours on the water, and even wintering in Florida so that they could fish all year around. June was also an accomplished poet, and loved to spend time with her grandchildren and great-grandchildren. Funeral Services will be held on Tuesday, April 16, 2019 at 11:00 A.M. the Zion Lutheran Church in St. Marys, with the Rev. Bill Maki officiating. Burial will follow at the German Protestant Cemetery in New Bremen. Calling hours will be held prior to the services on Tuesday, April 16, 2019 from 9:30 AM until 11:00 AM at the Zion Lutheran Church. Memorial contributions can be made to Zion Lutheran Church Memorial Fund or the Parkinson’s Foundation at www.parkinson.org. Condolences to the family may be left online at gilberghartwigfh.com. Funeral Services will be held on Tuesday, April 16, 2019 at 11:00 A.M. the Zion Lutheran Church in St. Marys, with the Rev. Bill Maki officiating. Burial will follow at the German Protestant Cemetery in New Bremen. Calling hours will be held prior to the services on Tuesday, April 16, 2019 from 9:30 AM until 11:00 AM at the Zion Lutheran Church. Memorial contributions can be made to Zion Lutheran Church Memorial Fund or the Parkinson’s Foundation at www.parkinson.org. Sending my heartfelt sympathy to your family. So sorry to hear of June’s passing. My mother so enjoyed having her and your father as next door neighbors. They were such a wonderful couple. Sending prayers your way. I’m so sorry to hear about your mom’s passing! I always liked both of your parents! Thoughts and prayers to your family! You have my deepest sympathy. June and Paul were neighbors and friends to us at several different stages of our lives and we always had good times visiting. I think of all of you often when I walk past the house in Pioneer! Prayers and sympathy for you and all your family in this time of your mom’s passing. You all have my deepest sympathy. You are in my thoughts & prayers. You all have my deepest sympathy. You are on my thoughts & prayers.